La Cerdanya is a region of the Pyrenees in Europe which spans both France and Spain, and is home to towering mountains, stunning medieval towns, gorgeous open valley, and even beautiful horses. Not to mention everything else you would expect from this part of the world – great food, excellent wine and warm & friendly people! 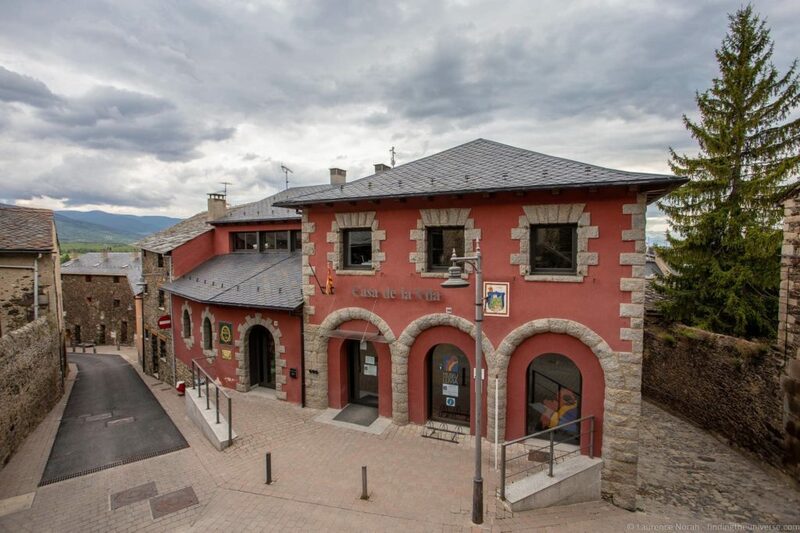 In this post we’re going to share some of our ideas for what to do in the Spanish side of La Cerdanya, known as Baixa Cerdanya, and found within the Catalonia region. This is a part of Catalonia that we have visited a number of times, both in summer and winter, and it’s an area we really love. Without further ado, let’s get on with our favourite things to do in La Cerdanya to give you some ideas for your visit. There’s plenty to do in Baix Cerdanya, whatever time of year you visit. This list should give you plenty of ideas, from active adventures through to restaurants, museums and festivals. 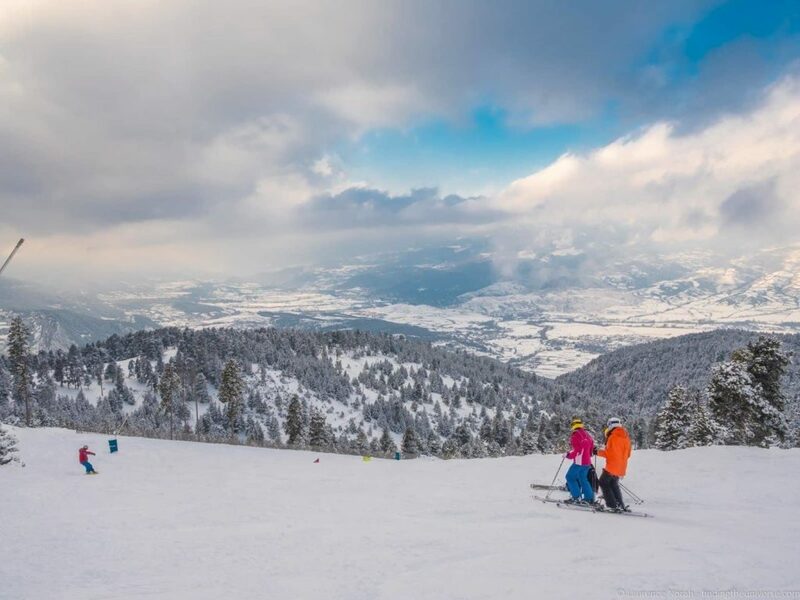 If you’re visiting La Cerdanya in the winter months, from around December through to late March, then the chances are you’re a fan of snowsports. This is one of the most popular regions in the Pyrenees for skiing, and is home to a number of major skiing areas, including alpine ski resorts La Molina and Masella, and nordic skiing location Lles de Cerdanya. The ski runs here offer wonderful views across the mountains, on-site accommodation, and plenty of runs to accommodate everyone from beginners to experts. They’re also very family friendly and offer lessons and ski schools, and prices for skiing in Spain are very competitive compared to the rest of Europe. La Molina is also home to an adapted sports center, which has earnt a reputation has being one of the most advanced winter centers for visitors with reduced mobility. We have a post all about skiing in the Pyrenees to help you plan your ski trip. And don’t worry if you’re not into skiing – we’ve also put together a guide to enjoying ski holidays if you don’t ski! Whatever time of year you visit Baixa Cerdanya, it is a fantastic part of the world for hiking. And the good news is that there’s hiking for all levels of fitness, whether you want to tackle some of the mountains on winter hike, or if you just want to enjoy the beautiful plains on a more sedate amble. There’s everything here from themed hikes like the Camí dels Bons Homes (Way of the Good Men), through to long-distance hiking paths like the GR1. Those wanting tougher hikes may want to check out mountain hiking routes around La Molina. 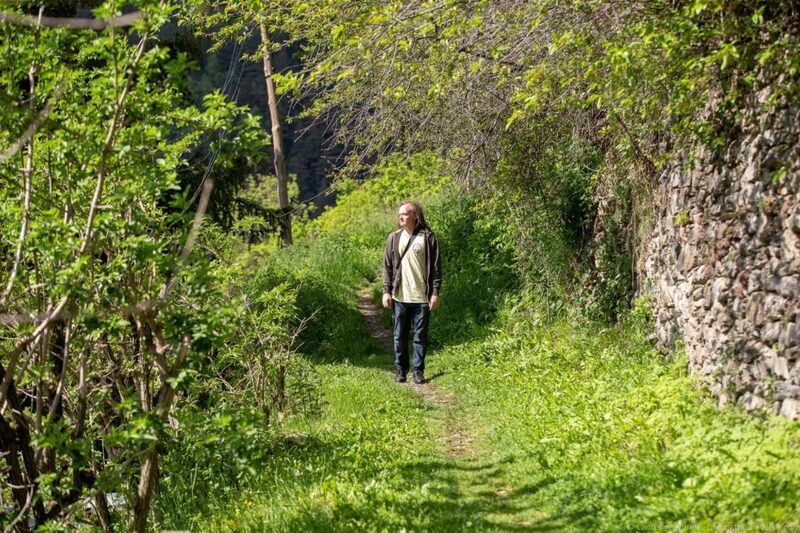 If you are more of a walker, there are lots of short walking paths in and around the towns like Puigcerdà and Llivia. For information and planning, we recommend heading to the tourism office in Puigcerdà. Many of the hiking paths in La Cerdanya pass through this town, so it’s a good place to learn all about them. We can also recommend this book of hikes in the Pyrenees region. This region of the world has been inhabited for centuries, and as you might expect, there are many fabulous old medieval towns to explore which feature cobbled streets, ancient architecture, pretty bridges and wonderful photography opportunities. Llivia is a pretty unique place to visit, as despite being part of Spain, it’s entirely surrounded by France, and to get here from the rest of La Cerdanya, you have to drive through a mile of France first! Due to its location, the town offers an interesting mix of Spanish, Catalan, and French culture and food. The quirk of geography is due to a 1659 treaty, where a number of Spanish villages in the area were handed over to the French crown, following over two decades of war between the two nations. The treaty said that various villages were to be ceded to France, and as Llivia was not classified as a village, it remained Spanish. Fun history notes aside, Llivia has a lot to offer. Beyond the interesting pharmacy museum (see the section on museums below), it is home to a beautiful old church, medieval cobbled streets, a walking route that takes you past all the highlights, old castle ruins set upon a hill, as well as a number of restaurants. It’s worth popping in to the tourist office to get an overview of what to do in the town, as well as information on local events and any festivals that might be taking place. Founded in 1178 atop a hill, Puigcerdà is the capital of La Cerdanya. It is a good place to start your exploration of the region – the tourist office in particular is a wealth of information about the area and local goings on. 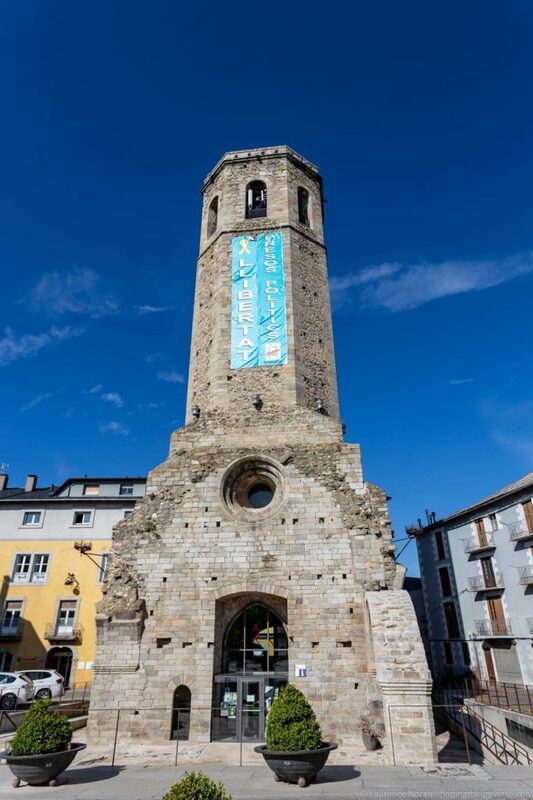 One of our favourite attractions in Puigcerdà is the Campanar de Puigcerdà. This is all that remains of a 12th century church that stood in the square at the heart of the town, and is a large tower which you can climb to the top of. It offers spectacular views across the surrounding plains and mountains, as well as the whole town. This is also where the tourist office is located, at the base of the tower. There’s a small fee to pay to climb it, which is well worth it. 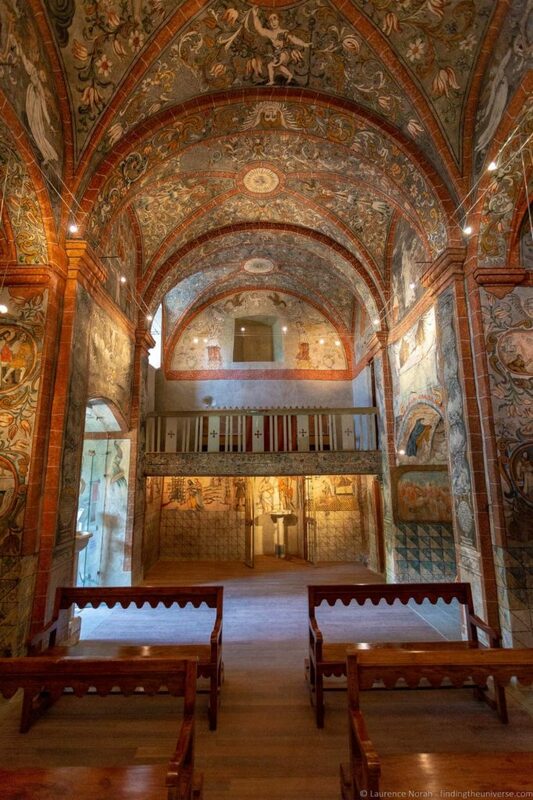 Other attractions include 10th century Romanesque churches, the excellent Museu Cerdà, a hospital building that dates from 1190, and a 13th century convent. There’s also a beautiful lake in town which is home to a wide variety of birds and short walking paths. We’re recommend spending a couple of hours at least in town, and following a walking map of the highlights that you’ll be able to pick up from the tourism office. The entire Catalonia region is full of beautiful old Romanesque Churches, and we have visited many of them. This style of architecture was popular throughout Europe from around 1000 AD until the Gothic style took over from around the 12 century onwards. Romanesque buildings are characterised by their semi-circular arches, very thick (often windowless) walls and a symmetrical, often quite simple layout. They look much more simple compared to the elaborate Gothic architecture which followed. They were also decorated with fantastical sculptures, as well as bright interior murals usually depicting biblical scenes. Whilst many of the sculptures have survived to this day, the majority of the murals have not – years of damp and neglect have eroded the majority of them, whilst others were simply painted over. Which is why it’s such a pleasure to visit the Església de Sant Climent de Talltorta, found in the tiny village of Talltorta, near Bolvir – just ten minutes drive from Puigcerdà . The church interior and mural has been restored to its original glory, and it looks absolutely stunning. Note that many of the Romanesque churches in Catalonia are usually locked, including Sant Climent de Talltorta. To get inside them you need to arrange access and find the keyholder. This is not always an easy process, and the best place to start is the local tourist office or local government office. In the case of Sant Climent, you can contact the Museu Espai Ceretània, whose staff can help you arrange a guided visit. As you would expect from an area that has been inhabited for thousands of years, there’s a great deal of history here! One of the best places to learn about this history is at the Museu Espai Ceretània just outside the town of Bolvir. This is on the original site of the town of Bolvir, found atop a handily defensible hill in the centre of the valley, which has excellent 360 degree views of the area. This was initially built and inhabited by the Iberians, a group of people who inhabited the “Iberian Peninsula”, which is today encompassed by parts of Spain, France and Portugal. This culture developed from around the 6th century BC. Following the Iberian phase, the town was inhabited by the Romans, and then from the 10th century AD had a third, medieval phase. After the 12th century the town was abandoned and moved to it’s present location, which offered better land for agriculture. The present day archaeological site is a fascinating place where you can see three entirely different time periods and architectural styles layered upon and next to each other. The archaeological site has only be partially excavated so the site will continue to evolve over time as more is discovered. 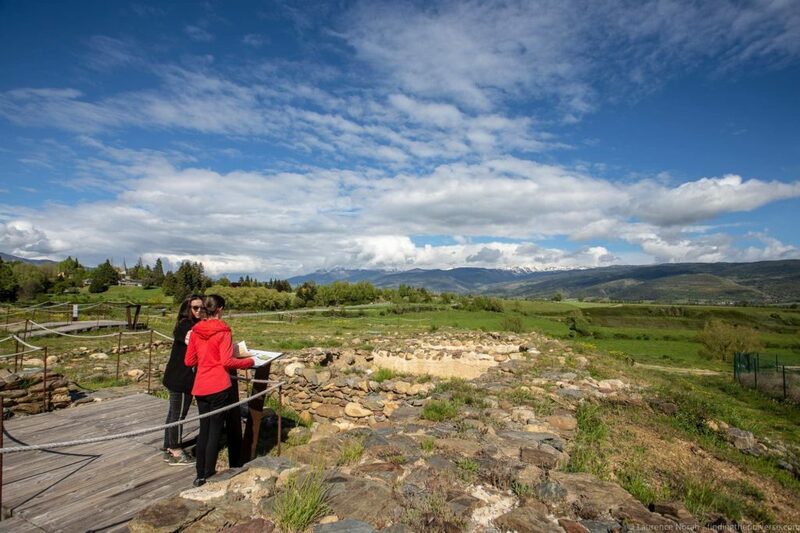 The visitor centre and museum area has all the information you need to learn about this location and its history before you do the self-guided tour of the archaeological site. Another museum that we think is well worth a visit is in the town of Llivia, and is the Esteve Pharmacy Museum. This is the site of one of the oldest medieval pharmacies in Europe. It was founded in the 15th century and was an active pharmacy until 1942. The building has now been turned into a museum housing a number of interesting artefacts, including a collection of blue jars known as albarellos, which were used to store pharmaceutical supplies. If you’re travelling as a family, there’s plenty to keep you all busy and active, beyond the obvious hiking, cycling and other active adventure opportunites. In La Molina for example, you’ll find La Molina Parc Aventura, a fun tree-top adventure course that will test balance and nerves as you work your way across the obstacles. 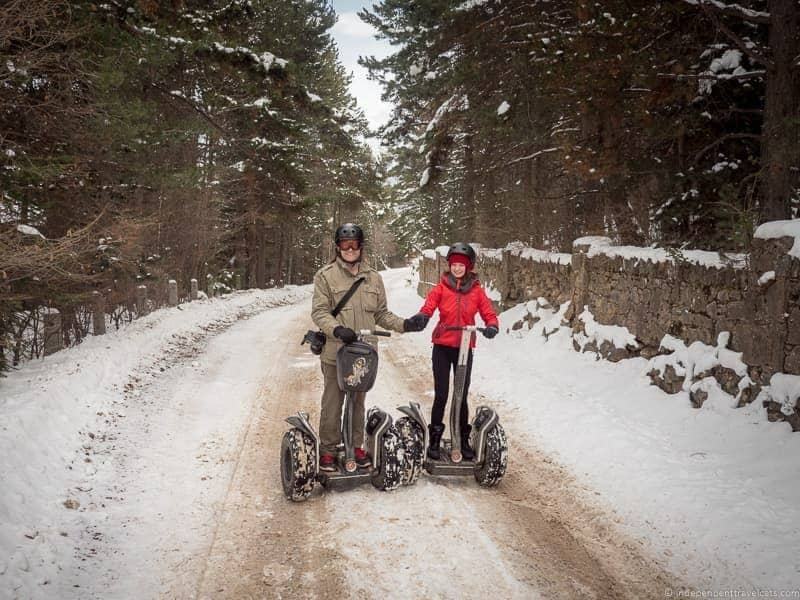 La Molina is also home to activities including bowling, Segway tours, and more. Another great family adventure is to take a trip with the donkeys of Rucs i Aventures. More on this option in the section below on donkeys. Finally, there’s the option to take a family oriented tour in the Pyrenees. This five day adventure tour has all kinds of activities on offer, from snowmobiling to rafting to hiking, and it’s specially aimed at families. By far one of our favourite things about visiting the Catalonia region is the incredible food on offer. On the Costa Brava coastline, naturally there’s a focus on fresh fish, whilst up in the mountains you can experience everything from local sausage to meats, grilled vegetables and more. The Cerdanya region is known for a its meat dishes, as well as fresh fruits, mushrooms, and local plants. Traditional dishes to llok out for include trinxat (cabbage, sausage, and potato dish), Conill amb cremalloles (rabbit with mushrooms), fetge amb agredolç (pork liver dish) and botifarra amb seques (traditional sausage with white beans). 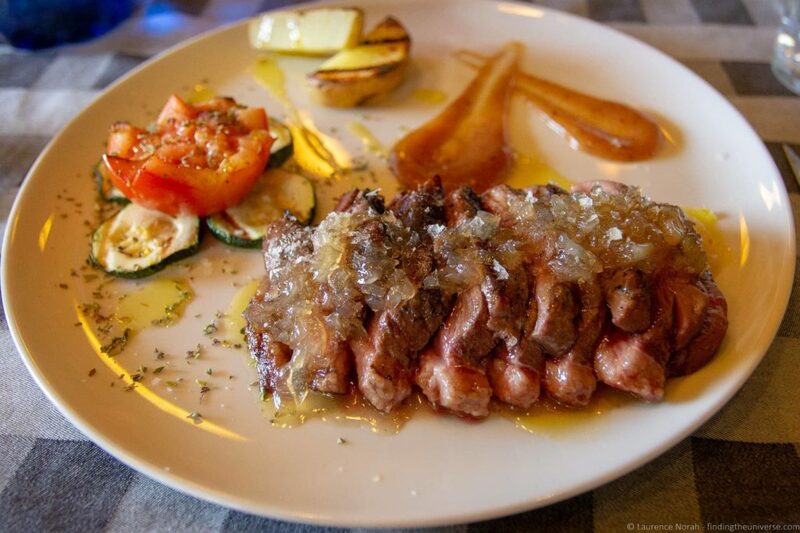 One of our favourite dining experience in La Cerdanya was as the Restaurant Les Heures d’en Didac, which is a couple of minutes walk from the Iglesia de Sant Climent de Talltorta. This offered wonderful, fresh, local food, and the staff even went so far as to print out a google translate version of the Catalan menu so we knew what we were ordering. Definitely recommended! We also had an excellent meal of local specialties at the Hotel Del Prado in Puigcerdà. The Cerdanya region has a number of festivals running throughout the year which focus on various subjects and cultural themes, from festivals focusing on specifics towns in the region, through to festivals such as the Transhumance festivals, which focuses on the annual movement of livestock from the lower mountains to the high alpine pastures for the summer months. These take place in various towns in the region. The Cerdanya area is also famous for the Cerdanya International Film Festival (late July) and the Puigcerdà Horse Fair (November), and most towns also hold festivals and events on major days such as Saint George’s day or Saint John’s Eve (23rd June). If you’re lucky, you might even be Puigcerdà for the Feast of “Trinxat”! Festivals happen throughout the year, check the official events calendar for what will be on when you visit. You can also look at this page for events across the whole Costa Brava and Pyrenees area, and filter by region and event type. 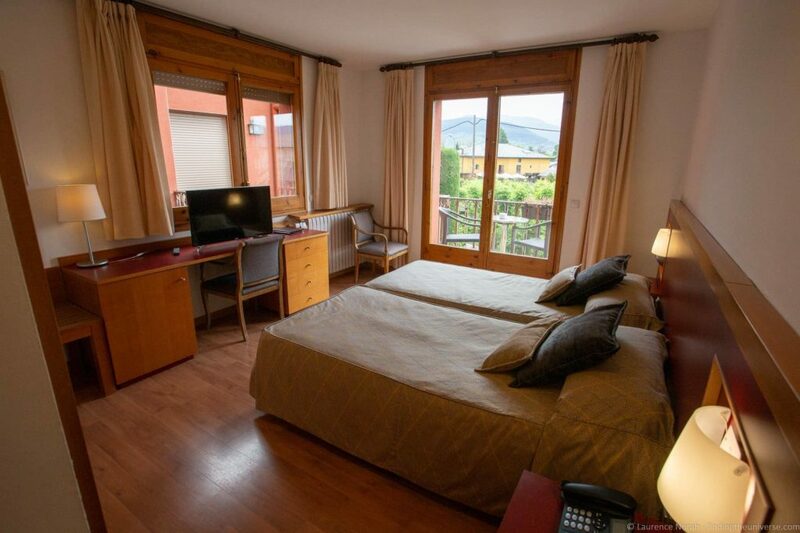 The active amongst you will love La Cerdanya. Cycling is a hugely popular pastime here, and many professional cyclists even head to this area specifically to train. Don’t worry if you’re not at that level though, there are routes suitable for all, from beginners to pros, and include both road trails and mountain biking trails. Signposted cycling routes are available throughout the area, and bikes can be hired in Puigcerdà if you don’t have your own. If you’re interested in more about cycling in the region, you can read more about my experience cycling the greenways of Costa Brava and the Pyrenees on a three day cycling trip for inspiration. The donkey is the traditional symbol of Catalan, and you’ll often see little black donkey stickers on the backs of cars as a show of support for Catalan nationalism. The Catalonian donkey is actually a special breed of donkey, with 80% of the population of this large donkey found in Catalonia, and the breed is believed to date to at least 2,000 years ago. For centuries, the donkey played a critical role in life here, providing transport and power to the largely agriculture based economy. As donkey-power gave way to mechanisation though, the population dropped, although you can still see the Catalan donkey in many parts of the region. One of the best places to meet and get to know the donkeys is with Rucs i Aventures. This is a perfect family experience, with guided donkey hikes available into the local mountains. 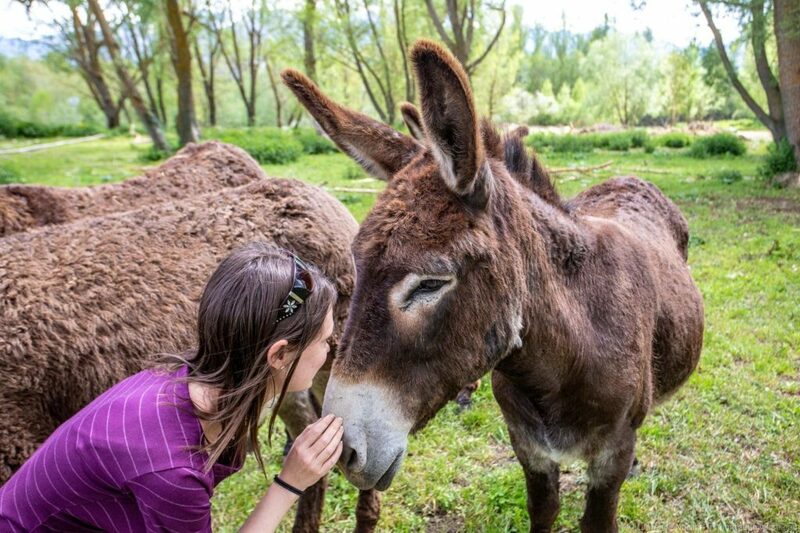 They also offer visits, so you can just meet their lovely donkeys. We did this, and met their donkeys, horses… and even some sheep, dogs, and goats, an experience we really enjoyed. Just be sure to arrange a visit in advance. To help you with understanding where this region is, we’ve highlighted it in the image below. You can also see the key towns and cities in the nearby region to help with orientation. La Cerdanya is around a two hour drive from Barcelona, or two and a half hours from Girona (this is to Puigcerdà). The closest airports are Barcelona El Prat Airport or Girona Airport, with flights to a variety of airports, both across Europe and further afield. You can also come to La Cerdanya by either bus or train. Trains from Barcelona take around three hours, and you can get to La Molina, Alp and Puigcerda. From Girona there is no direct train route, so you have to go via Barcelona. Barcelona is also connected to the rest of Europe by high speed train, so you can access La Cerdanya from further afield by train too. See train timetables for the region here. Finally, there are a number of bus operators who run services to La Cerdanya, including a dedicated ski bus in the winter from Barcelona to the ski resorts in the area, which takes around two hours. See here for bus info. We think that a car is definitely the easiest way to get here and get around, offering flexibility and practicality for your visit. However, there is also a good regional bus service in the area which will get you between the larger towns and villages see the Teisa Bus website to check on routes, times, and fares. If you are coming specifically to ski, then taking either the ski bus or a train from Barcelona might be a better option, as once you arrive in a resort town like La Molina, a car rental would likely be an unnecessary expense. The same would apply if you are planning on doing multi-day hikes or cycle routes – you are unlikely to need a car for these. There are a number of towns and villages throughout La Cerdanaya with lodging options to suit the majority of tastes and budgets, with everything from campsites to more luxurious properties available. We think the town of Puigcerda would make for an excellent base, and this was in fact where we stayed for two nights, at the Hotel Del Prado. We had a lovely stay here, and very much enjoyed the traditional meal we had in the restaurant too. Another good option a little further out of town if you’re looking for a quieter retreat is the Mas Sant Marc. We didn’t stay here, but we toured the property and chatted with the manager, and it certainly looked like the sort of place we’d enjoy staying, with gorgeous rooms and a wonderfully rustic feel. We’ve also stayed in Llivia, at the Hotel Bernat de So, as well as in the mountain town of La Molina at the Hotel Solineu, which is a great base for winter activities, and also for easy access to mountain hiking and mountain biking routes. There are plenty more options to choose from across La Cerdanya region. Our recommendation is to check listings on booking.com for La Cerdanya to find what you’re looking for, we find they generally have the widest choice and competitive prices, plus they have everything from hostels and apartments through to B&B and high end properties. There’s no right answer to when is best to visit La Cerdanya, although of course it depends on what you’re interested in seeing and doing. If you want to take part in snow-based activities, such as skiing or snowboarding, then you’ll need to visit in the winter months. The ski season runs from November through to April, but February is usually regarded as the best month – you get more hours of daylight, as well as generally more consistent snow conditions. 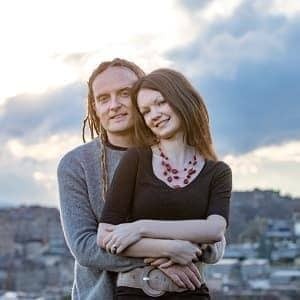 For cycling, hiking, and general sightseeing, the region never gets overly hot due to it’s relatively high elevation, but the months of May & June as well as September are good. 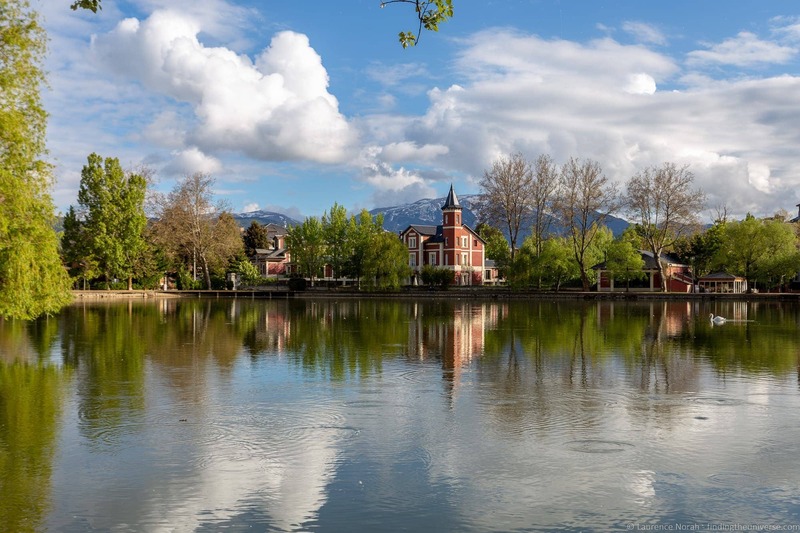 La Cerdanya is not high on the tourist radar, and in the summer months many visitors flock to the beaches, so to be honest, this is a great region to visit even in the summer as it still is unlikely to be overly crowded. We’ve been lucky enough to visit Catalonia a number of times, and our explorations in the area have resulted in us putting together a number of posts which we think you will find helpful to planning your visit. Here are some to start you off. 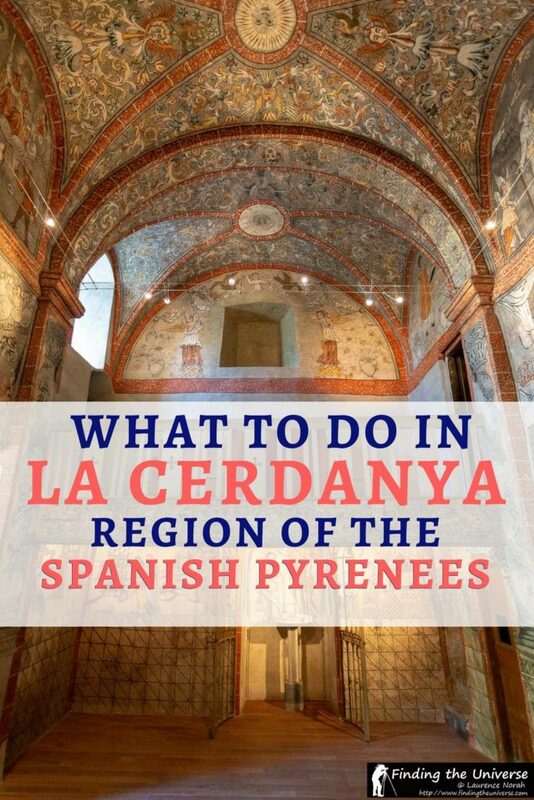 We also have a year round definitive guide to the Spanish Pyrenees! If you’re feeling active, we have a guide to some of our favourite adventure activities in Costa Brava. We also have a guide to cycling in the Pyrenees. We have a guide to visiting Besalu, a stunning medieval village. We also have a guide to visiting beautiful Girona. And that’s it for our guide to what to do in La Cerdanya! Is this a part of the Pyrenees you were familar with or is it somewhere you’d like to visit?As always, we’re open to your questions and feedback, just pop them in the comments below. Disclosure: The majority of our lodging, attraction entrances, transportation and activities in La Cerdanya were covered by the Patronat de Turisme Costa Brava Girona in order to experience and write about this region. As always, this article contains only our own honest thoughts and opinions. You can read more in our Ethics Code about how we accept work.